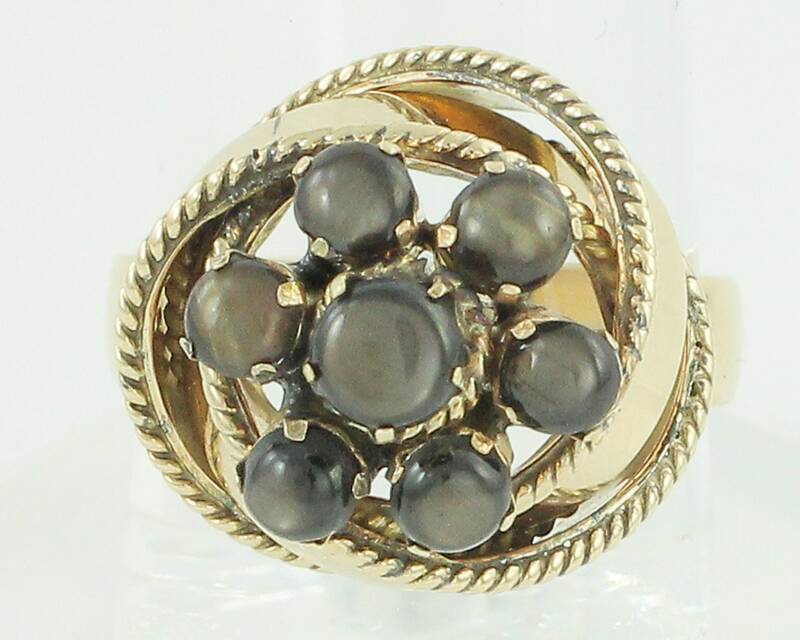 Vintage 14K Yellow Gold Knot Ring with Black Star Sapphire Cabochon Cluster. 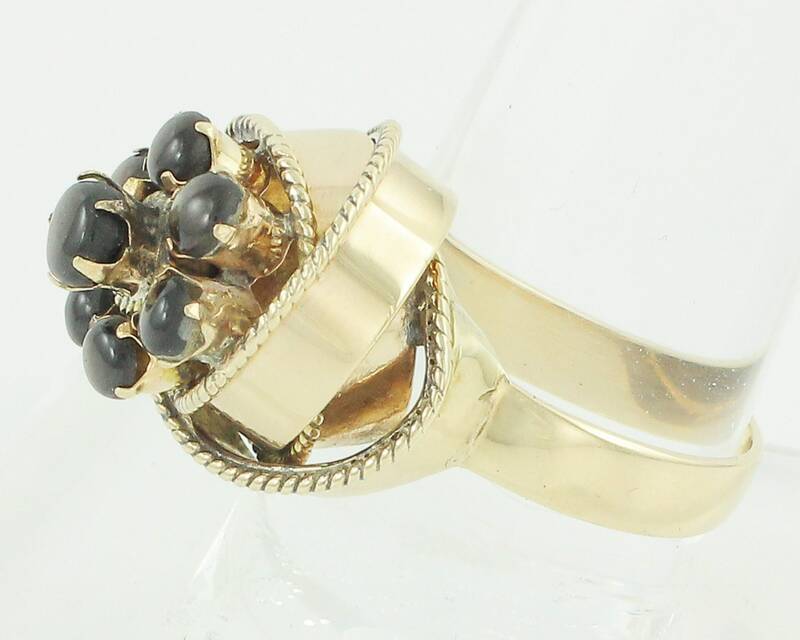 This 1960s ring has a bold knot design with twisted rope detailing and seven prong-set natural black star sapphires. 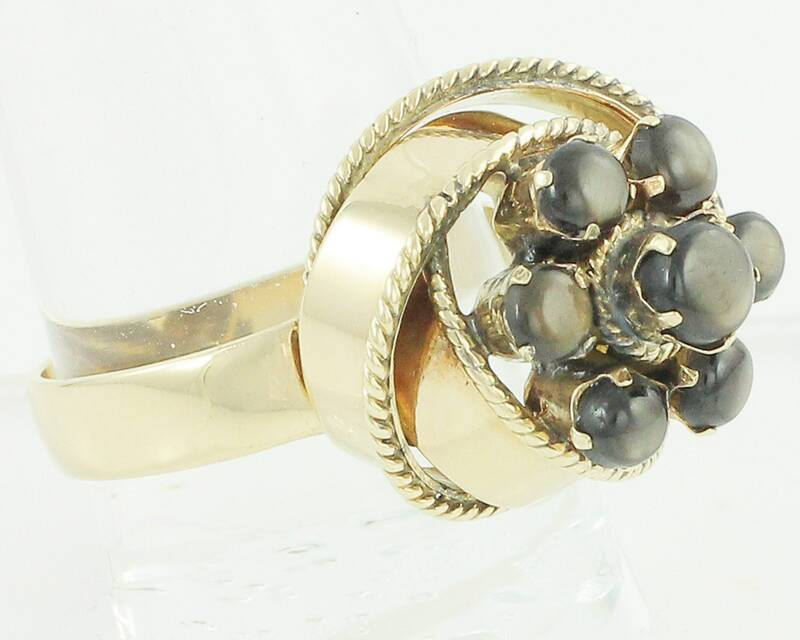 The sapphires have diffuse asterism, with clouds of light that appear with movement of the ring. 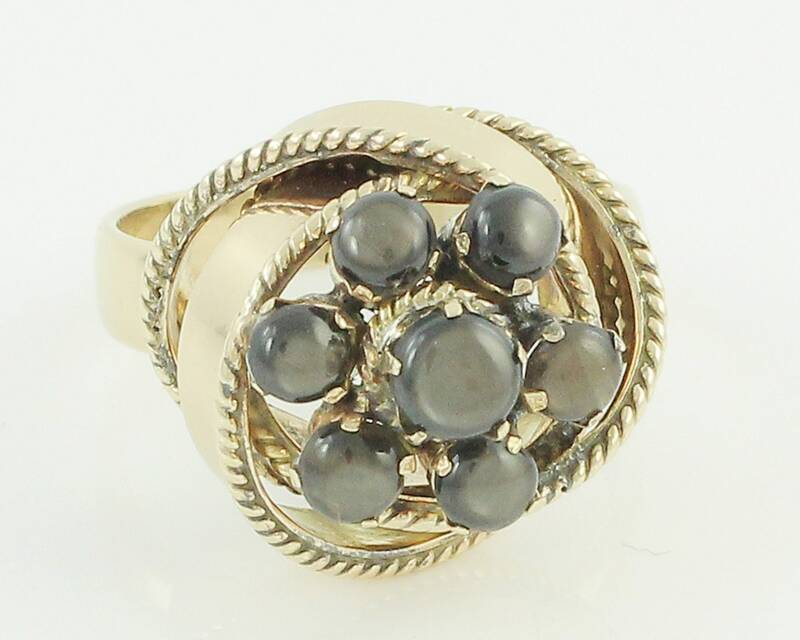 The ring measures 16.25 mm in diameter at the head, which stands 15.6 mm high. 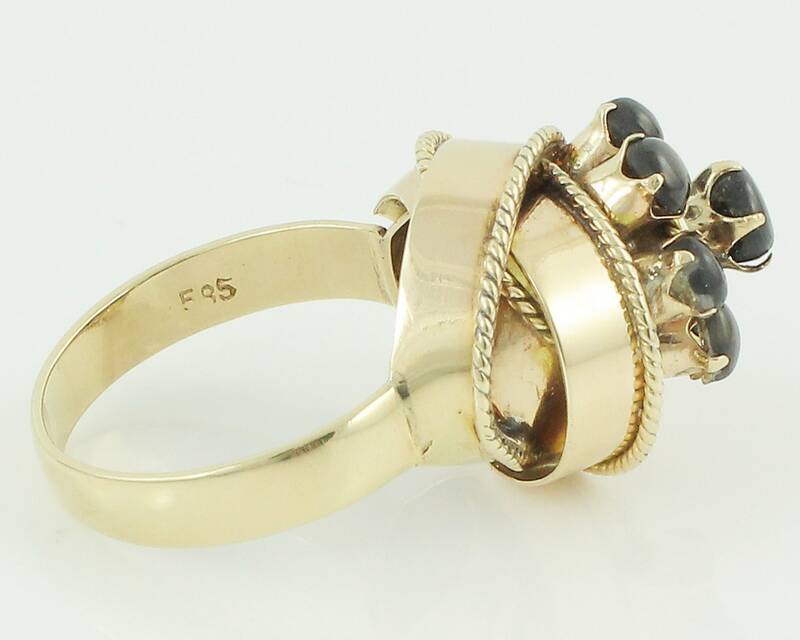 Shank measures 3.55 mm wide. 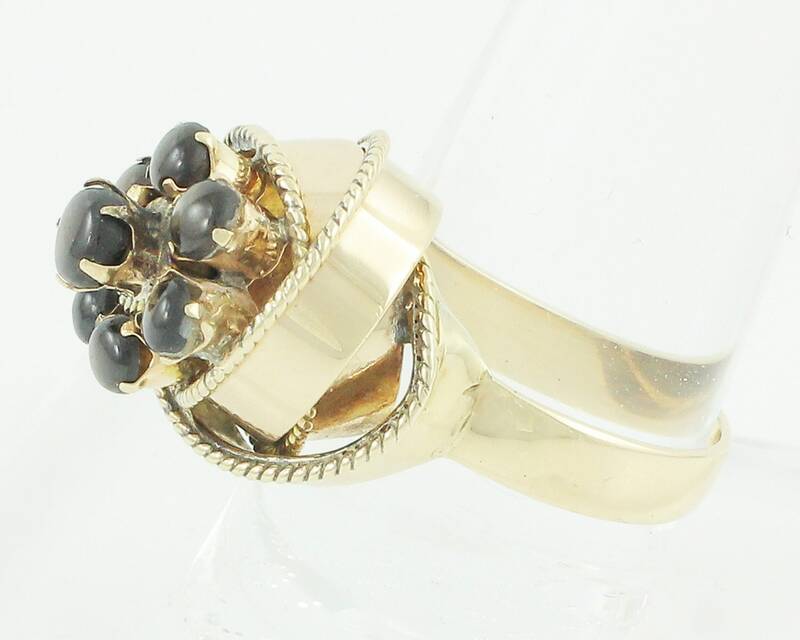 The ring is a size 8 and is stamped 585 on the inside of the shank. 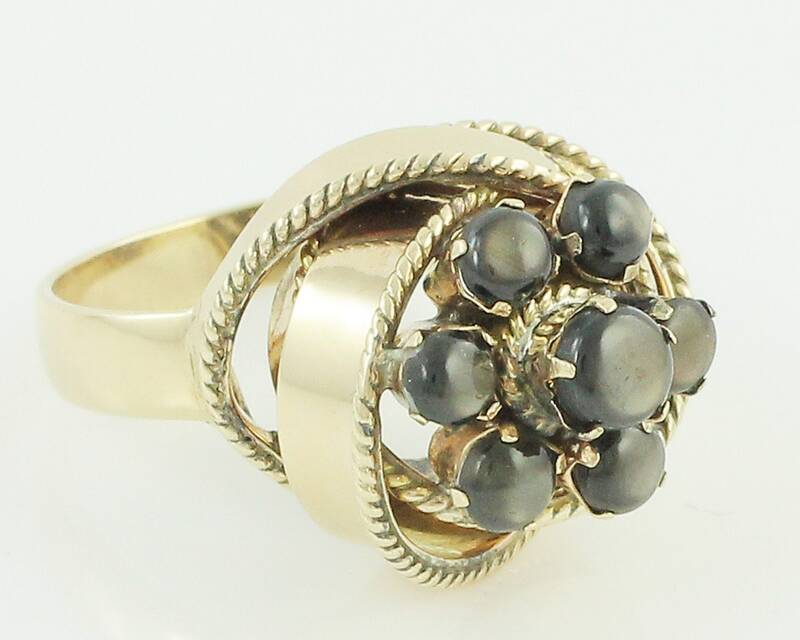 CONDITION: In very good vintage condition, with very minor facet scratches and no other damage of any sort noted.